IRVINE, Calif., December 18, 2018 – VICTURY Sports, a startup in full-force indoor play for children and athletes, announces that their Ollyball has been selected as a finalist for the 2019 Toy of the Year (TOTY) Awards from The Toy Association. The winners will be announced in New York City at the “Oscars of the Toy Industry” held on Feb. 15, 2019. “This all started five years ago when our kids were playing ball in the house and broke things,” said Joseph G. Burke, founder/CEO of VICTURY Sports, who invented the Ollyball. “We went on a quest to create a ball that kids could play with in the house.” After five years of prototypes sewn on their kitchen table, the Ollyball is now a finalist for Toy of the Year. “One of the best surprises was seeing a parent in Austria post a video on Instagram,” Burke said, “His son was kicking the Ollyball in their house and performing seated soccer juggling indoors. 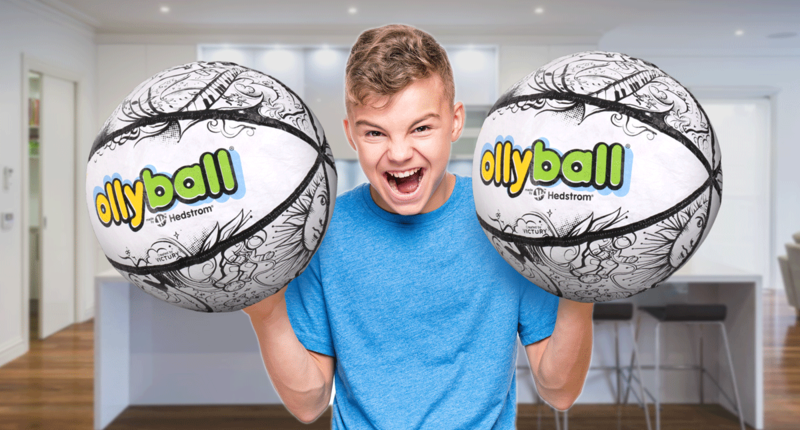 Shortly afterward, they ordered two more Ollyballs.” The Ollyball has also been very popular with Scouts; hundreds have been sold as prizes for BSA events. Ellen Burke, VICTURY’s customer experience director, said, “We are honored to be a finalist. We love what The Toy Association stands for, especially how they support charities through bringing joy to kids and parents.” Ellen sewed the original prototypes on their kitchen table and is an instructor in special education. With all purchases of the Ollyball at ollyball.com, VICTURY Sports will make a donation to U.S. TOPSoccer, a community-based program for young athletes with physical or mental disabilities, organized by youth soccer association volunteers. Fans of Power Episode 100 - Andy Youssi talks "Lords of Power"